There is something completely tranquil about walking through a nature center. 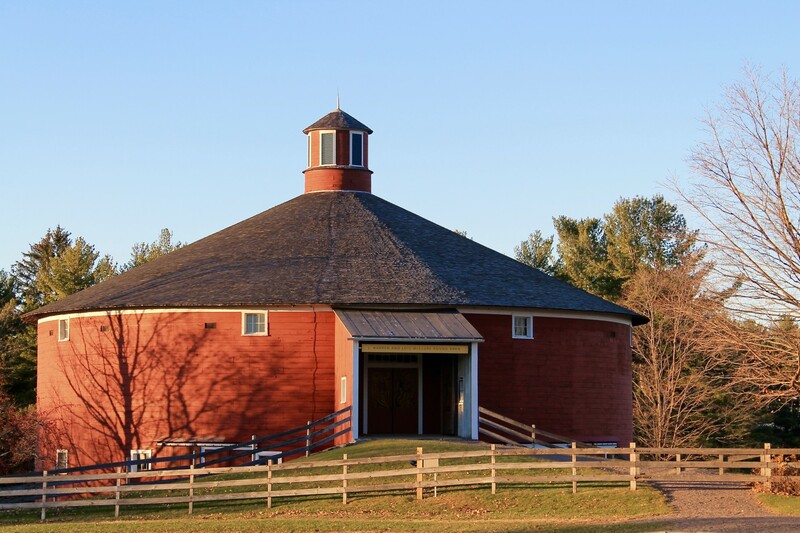 We crave a break from the hustle and bustle of everyday life at times, and we’ve found solace at the Vermont Institute of Natural Science (VINS). This nonprofit bird sanctuary provides environmental education that is entertaining for children and adults alike. Take some time for yourself or with friends and family. 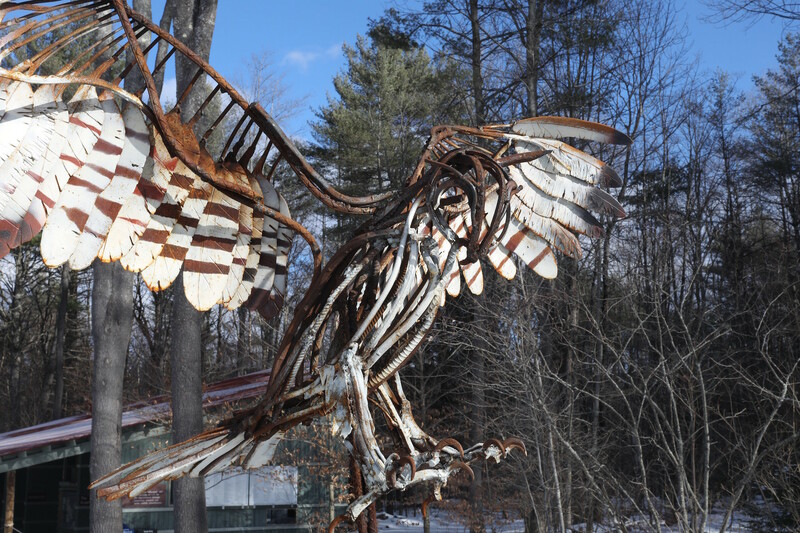 Roam the grounds, enjoy the art, and wonder at the many raptors who call VINS home. Upon entering VINS, we feel utter calmness. 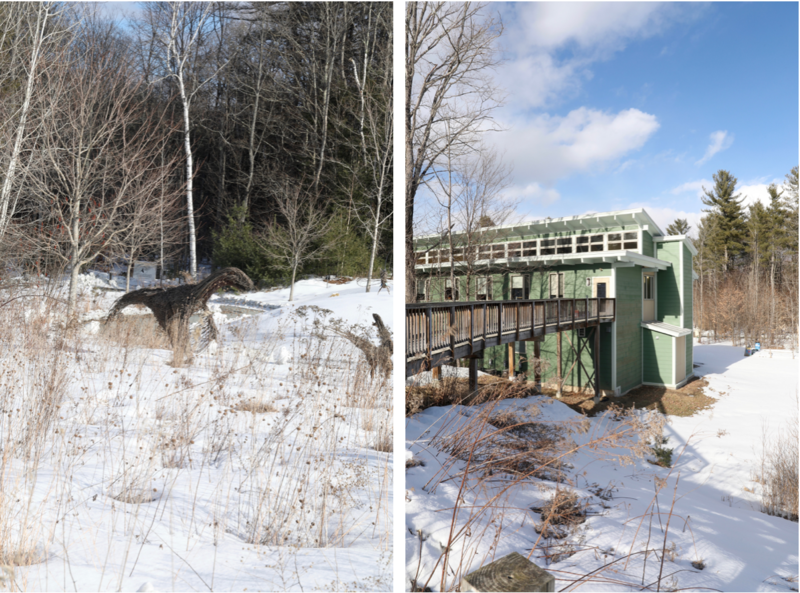 Tucked away from the busyness of Quechee’s main road, the institute seems like our very own refuge – quiet, still, and grounding. We enter through the avian-oriented gift shop and amble along the gravel path. The nature center ahead looks like a birdhouse of its own, floating above the slight hill below it. Art pieces scatter the grounds, most of which are part of the exhibition, Ice Age Mammals on the Meadow. 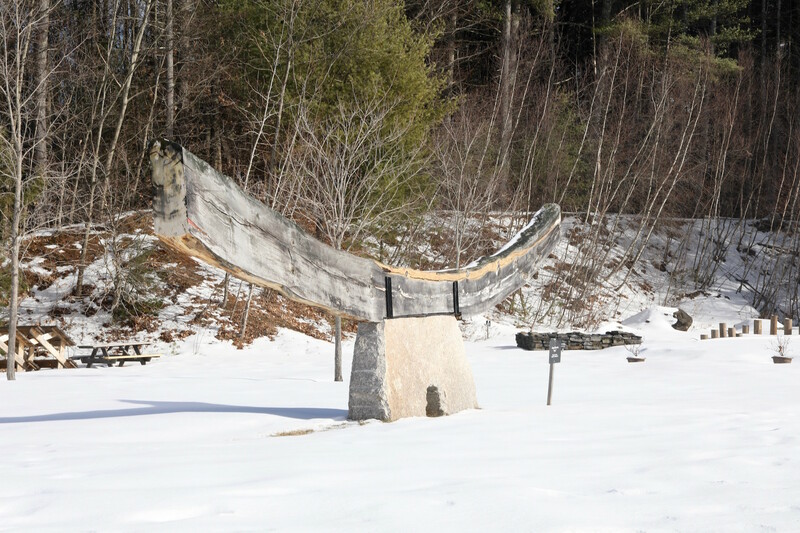 Life-size structures created by New England and New York-based artists have been curated to encourage visitors to imagine the landscape as it once was, during the last Ice Age. These artistic interpretations of a Dire Wolf, Irish Elk, Saber-toothed Cat, and Mastadons stand tall in a field of untouched snow. The scene in its entirety is incredibly beautiful. We continue toward the raptor enclosures and peek into each microenvironment, structured according to the preference of its avian inhabitant. 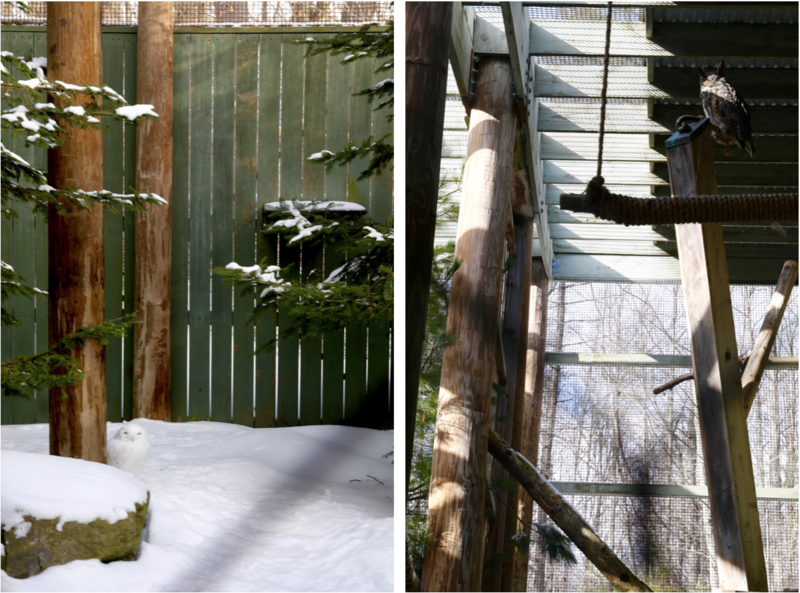 The snow owl sits quietly on the snow covered floor of his enclosure, surrounded by evergreens and camouflaged in a sea of white. The giant eagles pose on their high perch, keenly aware of any onlookers below. We could spend hours staring at these stoic creatures. 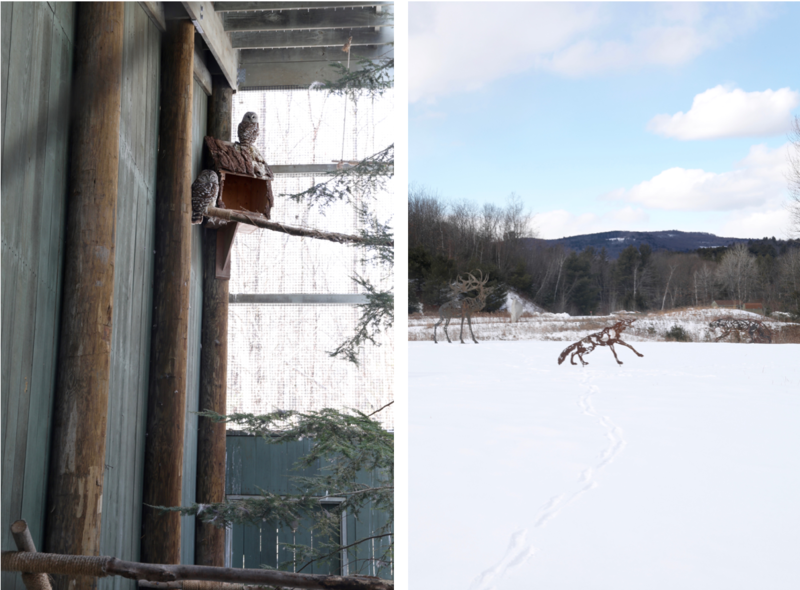 Every enclosure provides a backstory of the particular bird inside – its history and rehabilitation. In doing so, you feel a certain closeness with the raptor in front of you. The connection forms and captivates you. It’s so easy to lose yourself in thought and observation here. To further enjoy your natural surroundings, VINS also encompasses a 47-acre campus adjacent to the Quechee State Park. 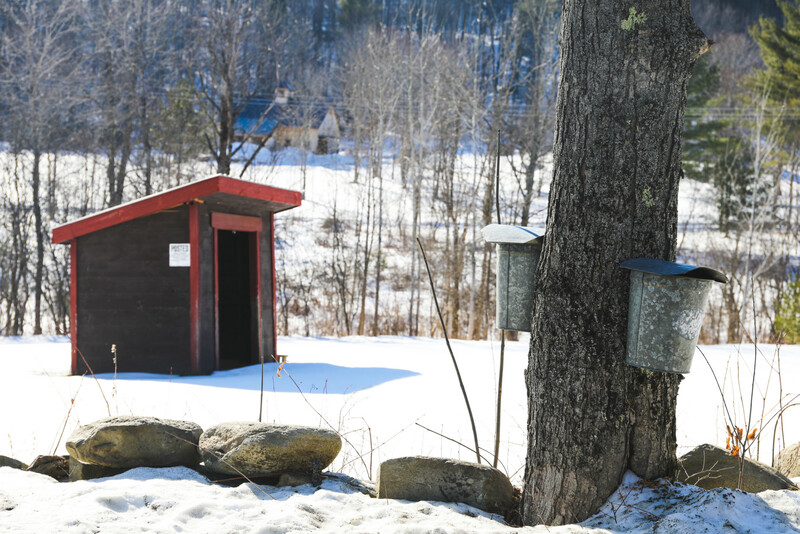 You are welcome to enjoy the trails that weave through campus and along the Ottauquechee River. You can even reach the Quechee Gorge and Deweys Landing from here! VINS encourages people to care for the natural world. 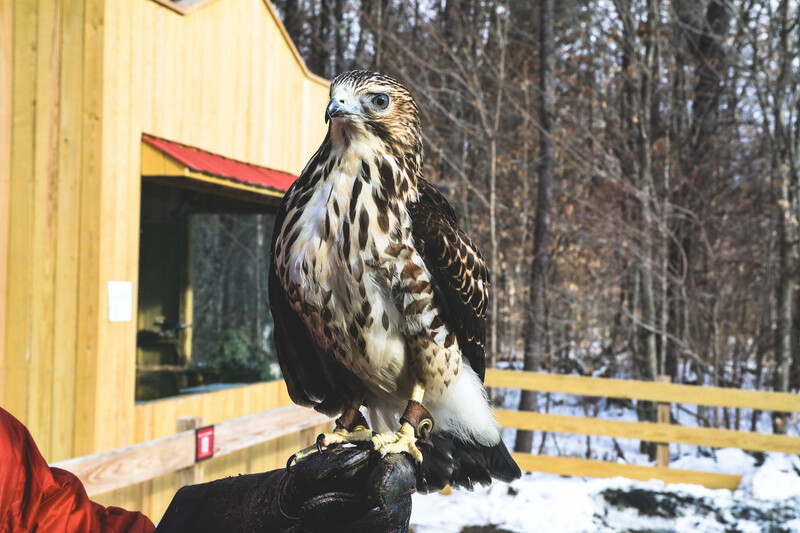 In addition to offering educational programs and partnering with conservation organizations, VINS also operates an avian wildlife rehabilitation clinic. The trained rehabilitators at VINS treat more than 400 injured or orphaned birds each year. 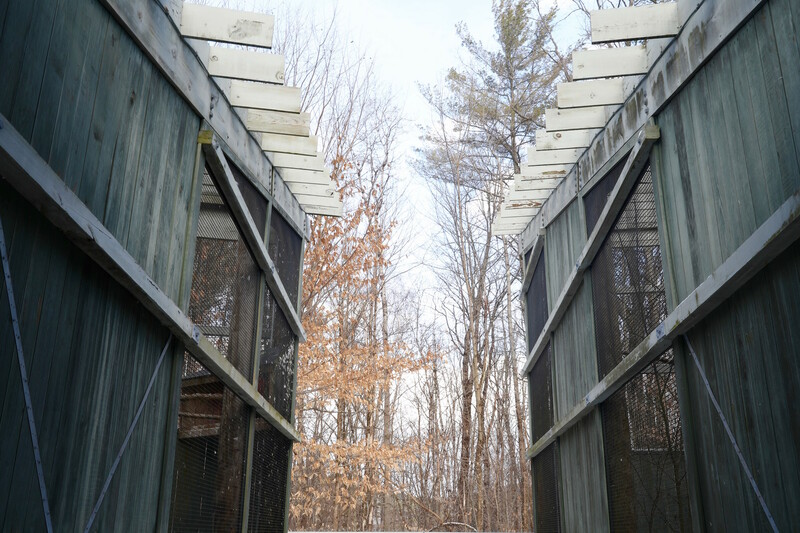 A viewing window at their Center for Wild Bird Rehabilitation allows you to peek into the rehabilitation process. You can also watch their video on rehabilitating wild birds here. Small groups are allowed to tour the center and see the rehabilitating birds up close! Just contact VINS to inquire and plan your visit. Feeling moved by these birds? 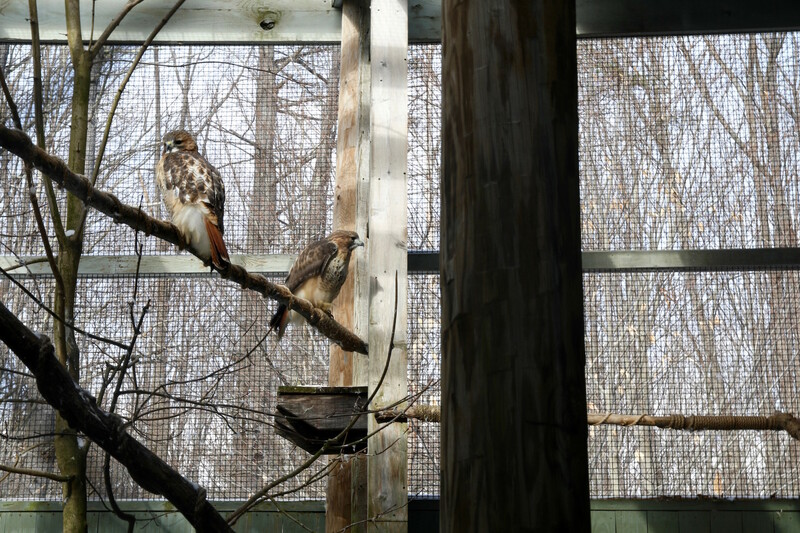 You can help contribute to their recovery through the Adopt a Raptor Program! This program allows you to sponsor a resident songbird or raptor and help provide the specialized care they need. We’ve had a guest adopt a turkey vulture! Thinking of a present for someone special? You can adopt a raptor as a gift too. We highly suggest visiting VINS and learning more about their environmental initiatives and rehabilitation efforts. Your experience is bound to be both refreshing and educational. We can’t wait for their upcoming Owl Festival on Saturday, February 25th from 10AM to 4PM. Unable to make it? No problem. 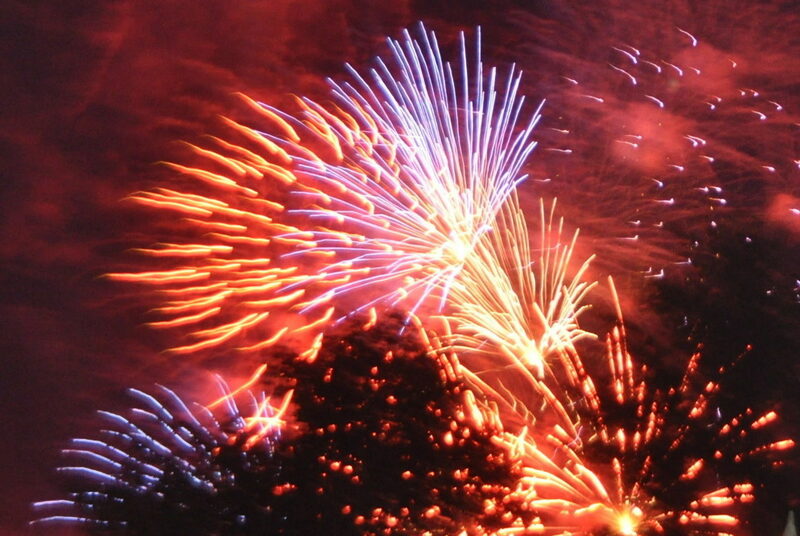 VINS hosts a slew of events and programs throughout the week. See their feeding and tour schedule here. VINS is open seven days a week from 10AM to 4PM (5PM beginning April 9th). 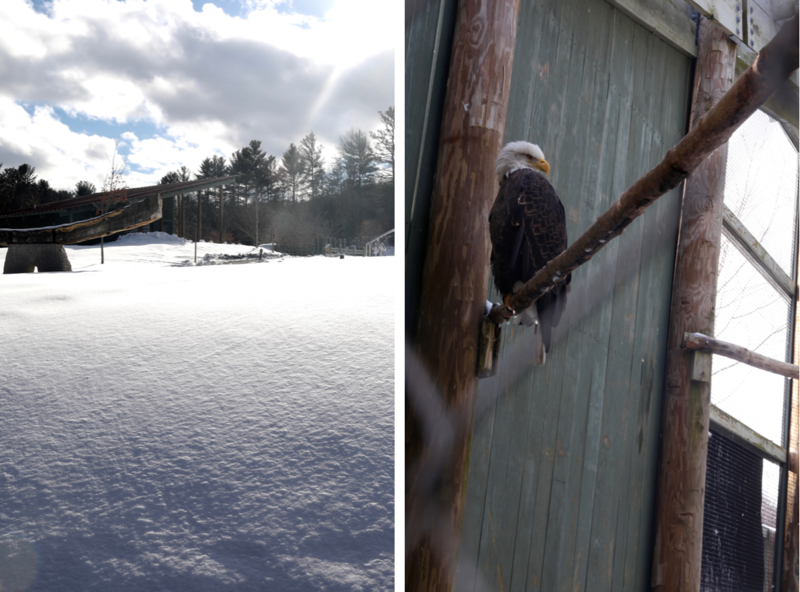 Get a glimpse of these magnificent birds and savor some outdoor time at VINS, year-round!